Eggs to Apples in Hurst Green was named Best Deli in the inaugural Muddy Stilettos Awards for Sussex, celebrating fantastic places, spaces and businesses across the County. Voted for by the public the awards were hotly contested, Eggs to Apples received an amazing 56.5% of the overall votes for their category. Over the past two months, local people and subscribers to Muddy Stilettos, Sussex have been nominating and voting for their favourite independent businesses across the county in 30 different categories. With thousands of voters and hundreds of businesses involved, the awards were hotly contested. 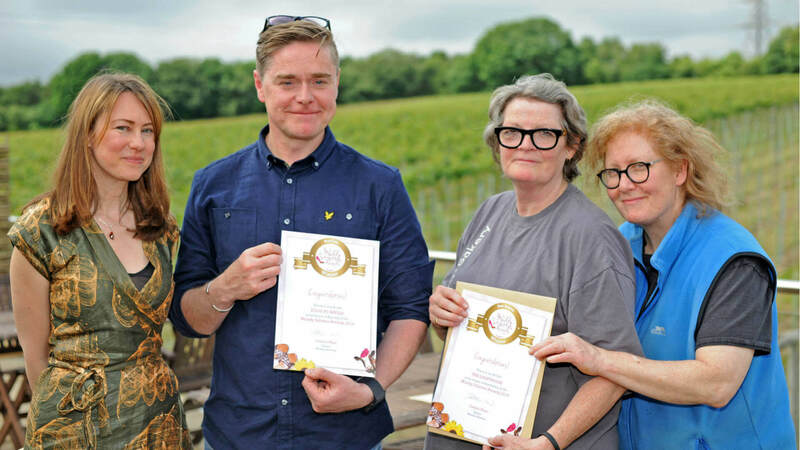 150 businesses went through to the finals (five in each category) with certificates for the overall winners presented at a drinks reception at Bolney Wine Estate on June 22. Muddy Stilettos – ‘The Urban Guide to the Countryside’ – is a series of blog-style websites written by experienced journalists that now operates across 11 counties in the South of England. The awards have been running for several years but this is the first year they have been held in Sussex. The ethos is all about quality and curation and unearthing the cool independent businesses and events in each. “We were overwhelmed by the support of our customers, staff and suppliers during the voting for the Muddy Stilettos Awards. A real sense of community spirit has been inspired by the Awards and we hope it becomes an annual event for independent local businesses across the region.” Craig says. Muddy Stilettos Sussex Awards website with a list of all this year’s finalists and winners.